It's the endless lines of gawkers lining up for a handshake that really kill her. That's the Queens pet peeve according to Prince William and Prince Harry, who have known and watched Queen Elizabeth in public their whole lives. In a break with royal protocol that the Queen herself might not approve of, they're actually sharing their insights about their grandmother with the press. According to Prince Harry the Queen, who is known for her unflappable public image, actually leans quite heavily on her husband Prince Philip for moral support. 'Regardless of whether my grandfather seems to be doing his own thing (a reference to Prince Phillip's tendency to roam about) sort of wandering off like a fish down the river, the fact that he's there – personally, I don't think that she could do it without him,' Prince Harry told the the BBC's Andrew Marr for an upcoming documentary on the Queen. Harry, 27, claims that his grandmother would find the task of endlessly shaking hands during her frequent public engagements unbearable without Phillip her side. 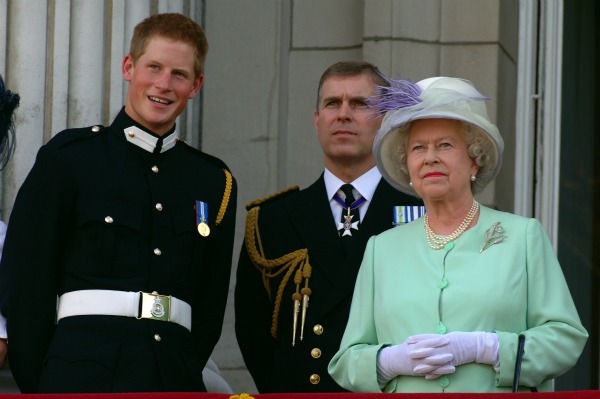 At 85 the Queen, who celebrates 60 years on the throne next Monday, may now be too old for her schedule Harry worries. 'Yet she's carrying on and doing the visits,' he said. In his public affairs William is said to take his lead from the Queen. In fact both he and his wife Kate ask for her guidance about how to lead a public royal life. 'I think she doesn't care for celebrity and she really minds about having privacy in general,' William told the BBC.